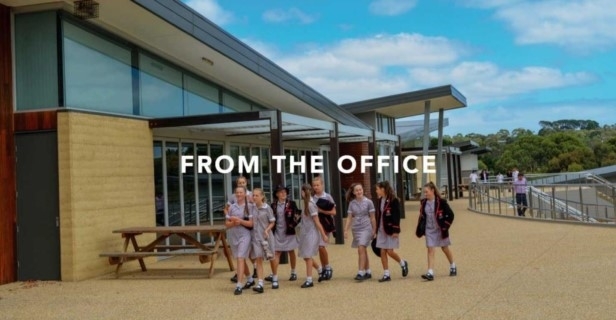 Looking back on Term 1, it is quite remarkable to think of how much has been achieved and how many opportunities there were for members of our community to connect with the school. 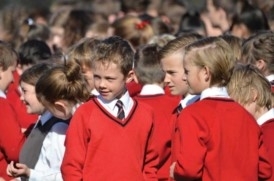 Term 1 included events and activities such as Camps, Services, House Competitions, Parent Evenings, International Tours, Market Nights, Open Days and a host of other activities throughout the wider community. 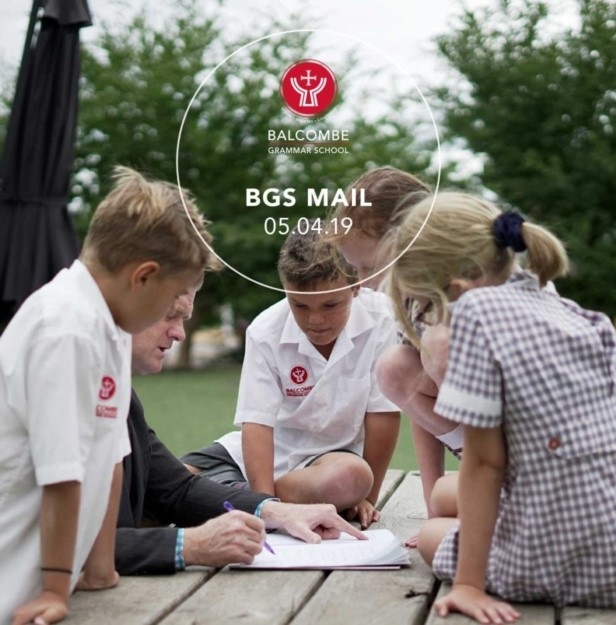 There is no doubt that a day in the life of a Balcombe Grammar School student or staff member can be busy, but there is also no doubt that it can be very rewarding. Thank you to our entire community for ensuring that Term 1 was a highly successful and positive term. When a member of our community partakes in any of the activities available at Balcombe Grammar they naturally grow as a person. Growth can involve trying new activities, developing new habits, fostering new skills, and practicing new strategies to achieve one’s goals. We encourage our students to step outside of their comfort zones with the hope that they will grow as learners and as people. Therefore, if we challenge our students to grow as learners, should we challenge our staff to grow also? The simple answer is we should, and pleasingly we already do. In this term all VCE teachers were involved in a process where they carefully analysed their 2018 results data. Then, with the assistance of their Faculty Co-ordinator and Head of Sub-School, they devised action plans for 2019 and beyond. In addition to this, all Faculty Co-ordinators created action plans for their faculty with a focus on developing programs designed to achieve the best educational outcomes possible for all our students. In Term 2, we will expand on this approach as we incorporate student feedback into all teaching staff growth plans. We believe that this will have a significant impact on developing our teachers further. Grattan Institute research has found that well-implemented feedback systems can improve teacher effectiveness by up to 30%. 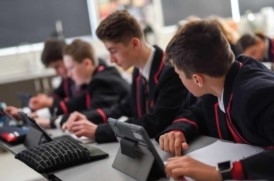 Throughout Term 2 a large proportion of our Foundation to Year 12 student body will be asked to provide anonymous feedback to our teachers via online surveys. This data will be used to assist all teaching staff in developing SMART goals and professional learning plans. In addition to individual data, we now have access to school-wide data that will influence our whole school practices. We see this as an exciting development at Balcombe Grammar School as our teaching staff look to use data to influence their practices with the ultimate goal of developing an environment where our students are supported, challenged and engaged across all their classes. Thank you again for a wonderful term, I wish all members of our community a restful and enjoyable holiday period and I look forward to seeing you all back on campus in Term 2. 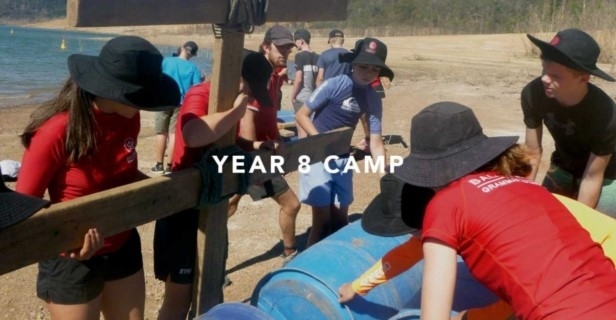 On Monday 18 March, the Year 8 students, and a group of dedicated teachers, set off on an adventure to Lake Eildon. The camp is a wonderful opportunity for students to step outside of their comfort zone, and challenge themselves in a different environment. Friendships are strengthened, new skills are learnt, and students often return feeling more confident and self-reliant. There was a mix of nervous anticipation and excitement as the group boarded the buses to travel to the camp site. After breaking into smaller groups and meeting their camp leaders, the students had their first team building challenge of setting up camp in the beautiful sites around the lake. Over four days the groups worked through various activities, including raft building and journeying, kayaking, GPS navigation and hiking. With hot and sunny weather, staying hydrated was a priority, and the students helped each other through the experiences. Preparing meals was a team effort, making sure that everyone fuelled up for the next part of their adventure. The students returned tired and grubby, but with smiles and lots of positive stories to share! Thank you to all of the teachers, Bindaree staff, and the students, who worked together to ensure that everyone enjoyed the experience and returned safely. A chilly Monday morning saw 96 Year 7 students head off to Yarra Valley for a fun filled four days at Toolangi Camp. On arrival students were able to find out their eagerly anticipated cabin allocations and quickly found their rooms and settled in. After lunch students began the first of the activities and began to strengthen and form new friendships. 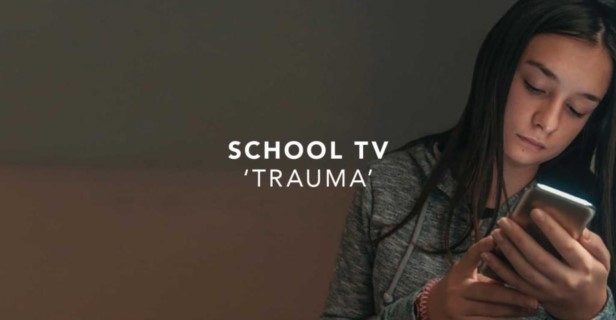 Many of the activities would take the students out of their comfort zone, meaning that they would have to build resilience and use their communication skills to ensure the activity was successful. 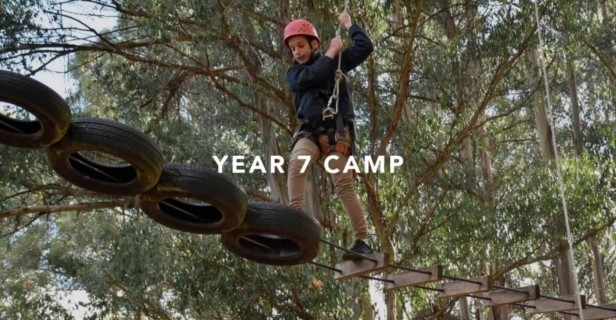 The activities included a climbing wall, the high ropes, flying fox, canoeing and the very competitive crate climb, which Balcombe now holds the record for with a number of students being able to stack and stand on a tower 15 crates high. In addition to the activities onsite each group also completed a hike and overnight camp, putting up tents and preparing their food using the Trangia before spending a rather chilly night under the stars. Throughout the four days the students embraced every opportunity with a smile even when wet through and made the most of their time at camp. A big thank you also has to go to the staff that worked with the students tirelessly to ensure that they had a safe and fun experience, without them it would not be possible. 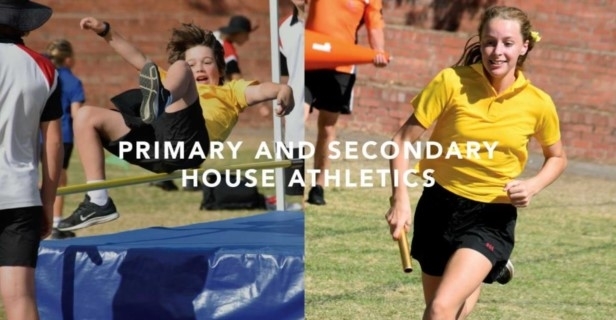 Both Primary and Secondary House Athletics were blessed with great weather considering the events sandwiched the coldest weekend for 42 years. Both carnivals had students enter events in their droves. On the track students competed in high numbers in the middle distance events and the sprints. The field events were inundated with competitors who signed up keen to jump and throw. Javelin made its first appearance in the Secondary carnival and proved a huge draw card attracting a high number of competitors. The House areas were once again awash of bright colours, and shiny new banners were displayed with pride. The growing House spirit was in full view for the 100m and relays, with spectators roaring their team mates to success. Students encouraged and supported each other. Students signed up to events on the day to make a difference and to bring glory and victory for their beloved house. Over the course of the two days the spoils were shared, with Casey House dominating the Primary event and Norman running away with the Secondary title. all the staff who worked tirelessly to make sure the events ran smoothly. For the first time ever, Balcombe Grammar was invited to participate in an International Science Conference in Japan. Senior Balcombe students were invited to apply for the exciting opportunity of speaking at this world renowned conference, on the topic of 'World Environmental and Energy Problems'. 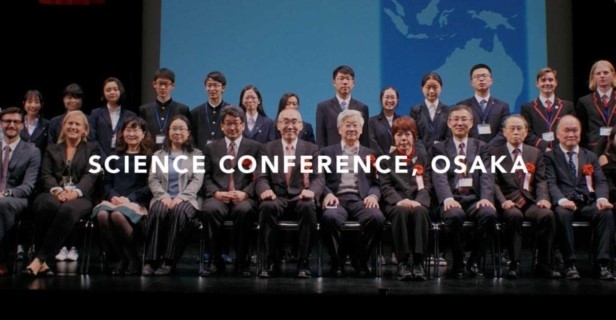 This conference is highly regarded and was largely subsidised by the Osaka Prefectural Otemae High School and the Japanese Government. On Sunday 24 March, the successful Year 12 students, Lachlann Cracknell and James Davies set off on this exciting trip. Prior to their departure, the boys spent several months planning and researching this topic. With assistance from the Balcombe Science Faculty, they prepared an outstanding presentation on Energy Generation in Australia – Looking to the Future. 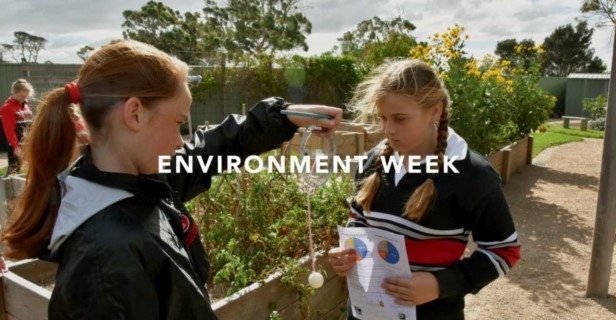 Their carefully researched presentation was not only focusing on the science behind energy generation in Australia, but also, and equally importantly, looking at this important issue, from their generation’s perspective. Lachlann and James spent time at Osaka Prefectural Otemae High School, preparing and getting to know the other students speaking at the conference, from leading Science schools in Beijing, Shanghai, Korea, Thailand and Japan. The students then presented in a professional and confident manner in front of not only an audience of hundreds, but also an impressive panel of Science Professors, University Lecturers, and several other International Delegates. They presented their research well, but also handled some tricky unprepared questions with confidence, representing not only Balcombe, but Australia with pride. James and Lachlann were fortunate enough to spend their evenings with generous and welcoming homestay families, experiencing the lifestyle and customs of Osaka. They had the opportunity to squeeze in some shopping and sightseeing around Osaka Castle and Kyoto, with their new lifelong friends. Lachlann and James were gracious, polite, brave, friendly and confident throughout this trip and we were proud to support them on this incredible journey. As we have done in previous years, some of our students volunteered to support exhibitors at the annual Environment Week at the Briars. Our Year 8 ACP Community Service group did an incredible job representing our school and brought fantastic energy in assisting local organizations share their message of sustainable living, whilst our talented instrumental students provided lunchtime entertainment in the sunshine from the Briars soundshell. The expo was well attended by visiting Preschools and Primary Schools from all across the Mornington Peninsula. “The event was an exciting experience with lots of lessons to learn. At the Briars Eco House we learnt about sustainable shopping and all different types of energy. The Expo Paddocks were full of fun activities including pot planting, cracking down on food waste, exotic wildlife protection and advice on looking after our native animals. To finish off a great day we were entertained by the school band playing some upbeat music. We thoroughly enjoyed our day at the Briars” ~Ally R, Layla M and Ruby H.
Balcombe Grammar School recognises that student achievement begins with attendance. 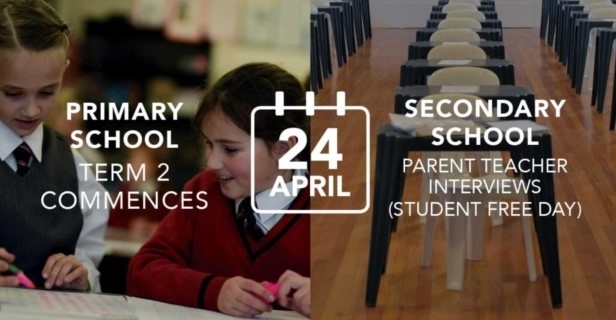 While we believe that regular attendance is essential for students to maximise their learning opportunities, we understand that there may be times where students are unable to attend school. To provide greater clarity regarding student attendance and the processes for reporting leave or applying for a leave of absence, please refer to our Student Attendance – Parent Information sheet.